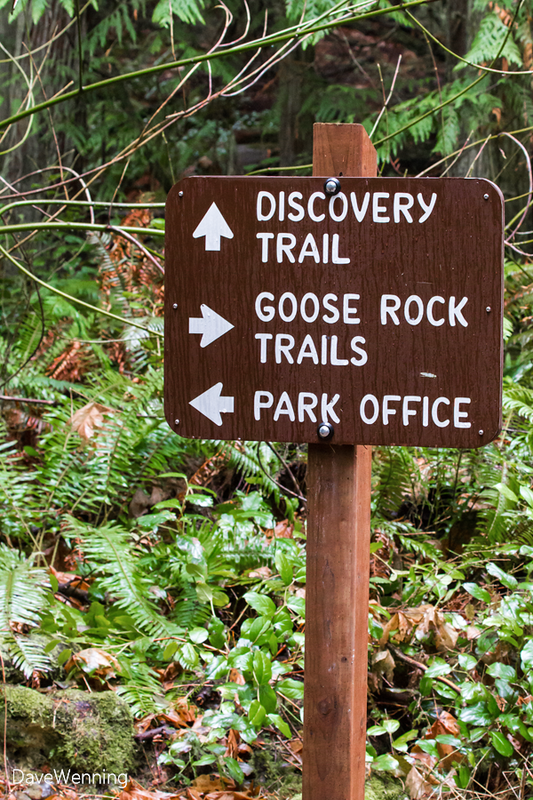 I had never explored the Pass Lake Trail in Deception Pass State Park. It used to be a short, one-way trek which ended on Rosario Road. From there it was necessary to either continue hiking on the road or turn around and return on the same trail. I found neither option appealing. On a newer map (.pdf) I noticed that it is now the Pass Lake LOOP Trail and it makes a complete circle back to the parking lot. I decided it was time to check it out. From Highway 20, turn onto Rosario Road at this sign (above). 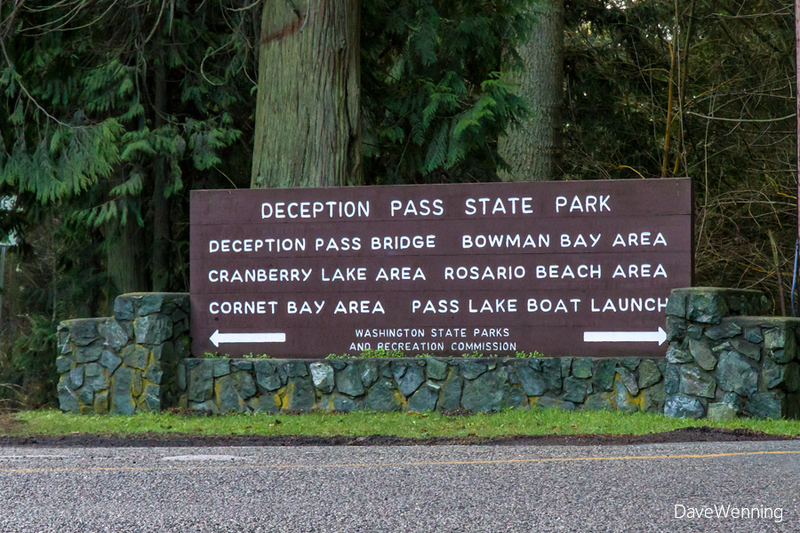 Immediately turn right into the Pass Lake parking lot where there is a well marked trail head. Late this afternoon as the sun was setting, I noticed a change on the beach. That raised sandbar at the water line is new. In my twenty-five years here, I have never seen this before. Perhaps, I just never noticed it. During the winter, it is unusual to see this much beach during daylight. 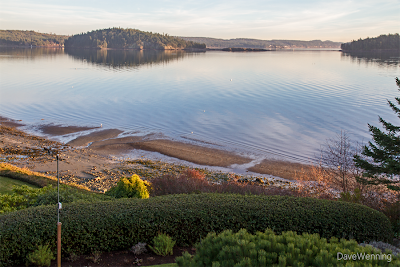 This time of the year, the lower low water tides usually occur in the middle of the night, or at least after dark. It is not surprising to see no beach at all during daylight for a couple of months. Today, the lower low water tide will be about 2 feet at 6:39 PM which is after dark. The photo was shot at 3:54 PM with the water level at 4.84 feet according to my Tides and Currents app.